In the line of property management business, there are four compulsory components that drive client satisfaction – Knowledge, Ownership, Commitment, and Networks. We realized that as a consultant, our staff is our biggest asset. Therefore, we handpicked those who work for us. Each one of them has to posses all four components. Knowledge comes first. Our staff is armed with in-depth understanding and rich experience about the property market, both to escalate your business and to tackle any problems that might arise. Uniquely enough, our staff comes from different background. Each one of them completes the other and provides a unique way of seeing things differently. Together, they act as one well-rounded team. Knowledge alone is not enough. Hence, we also demand commitment from our staff. Commitment is closely related to ownership. Through an unprecedented level of commitment, our staff is always trying to take full ownership to projects that they have been assigned. Adding more to the client’s benefit, each Mahala Langgeng Abadi staff is equipped with far-reaching contacts within the industry specifically in the property market. Utilizing our network, we are able to widen our client’s extent on any level – be it locally, regionally or nation-wide. 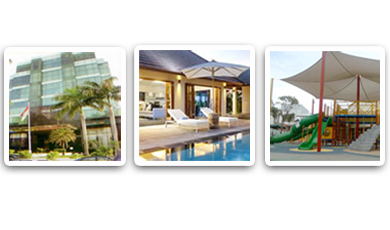 PT Mahala Langgeng Abadi is passionate about property brand and your business. With professionalism and in depth knowledge about property, we are proud to be one of the leading property management in Indonesia. Always deliver the best solutions and strategy through a professional management to maximize the property yield.